Landscape in the summer, snow removal in the winter has many advantages for both the company as well as the consumer. There are numerous marketing opportunities, equipment efficiency advantages and you get to keep your employees employed most of the year, which means you get to keep your experienced people and do not need to worry about training as many new employees. There will always be some, but at least you can keep it to a minimum. This should also transfer into less breakage and equipment break downs as well. We will examine a few of these in more detail. If you have landscape projects to work on right up until the frost comes, then a few weeks off for vacation and then into snow removal, you have a good chance of keeping the same employees year round because they know they have a job to go to. The same applies in the spring as well. The transition between seasons is the most difficult so if you have landscape construction projects to work on you can work much longer into the fall season for example as compared to landscape maintenance projects. Yard clean up in the spring, outdoor repairs and design work are all part of the job in the spring time, just before you get started with actual landscaping projects. Some equipment can be reused such as tractors and trucks. Obviously equipment such as lawn mowers and snow blowers cannot be reused across all seasons. During the in between season i.e. in the fall before it snows, your employees can also be completing repairs and maintenance activities on all equipment. In the fall for example, get your snow removal equipment ready for the coming season and update and repair your landscaping equipment from the previous season. Cash flow is one of the most critical elements of any business regardless of what type of business you’re in. With a landscaping business in the spring, summer and fall and then snow removal in the winter time, you can ensure a continuous cash flow from both business operations. Your customers will also like the idea of using the same company especially if you provide excellent service. Selling your services at the appropriate times. Obtaining repeat customers and signing up customers for both services is one of the key success areas. Small business owners in this area must have at least one person dedicated to selling and marketing. 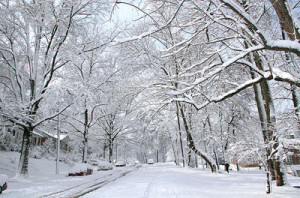 They should market your landscape and snow removal service all year long. Someone should man the phones and be able to quote standard prices, set contracts and set up appointments for quotes. It is critical that your customers can reach a live person at all times, whether it is a request for a quote, make an appointment, or deal with a complaint. This is one of the marketing items that is difficult to manage. However by providing excellent service to your clients they will let other people know. Also by providing a 5% referral bonus to customers who bring customers to your business helps grow clientele. Business owners who provide multiple services such as landscaping maintenance and snow removal may also reward their customers with discounts for taking both services from them. Customer service is your best advertising element that must be managed carefully. It is your best advertising medium. It can bring many new customers especially if it is good comments. Installing markers at the end of the driveway to mark the edge of the driveway for snow clearing purposes. As well as advertise your company’s name and phone number is almost as good as word of mouth advertising. All the neighbors see your signs and may talk to your customer to find out if they are satisfied.